With the rapid incline of mobile users over the past decade, there’s no denying that it’s changing the way consumers are influenced and behave. It’s common for brands to now modernize their marketing efforts to touch users where their attention is directed. The Networx event delved into the importance of interacting with your target audience at the right moment, and how mobile marketing provides you with the right set of tools to do just that. The discussions were led by Andrew Kolb, Timo Kugler & Jessica Pantalleresco, each housing their unique expertise within the mobile industry. Unlike traditional forms of paid media such as television and radio advertising, mobile marketing allows brands to use specific targeting methods to ensure their message reaches their ideal audience and gains maximum engagements. Andrew justified the power of mobile targeting by delving into a real world case where the use of an automated mobile campaign was tailor made to not only reach out to users, but was used to interact with them at the perfect moment. “I particularly enjoyed Andrew’s mention of the campaign created by GPYR used to create awareness for skin cancer. Although the concept was simple, I found the technology used to direct the campaign both innovative and insightful. They leverage the use of on an API to automatically interact with social users across several platforms when they would share an update using relevant hashtags or keywords. This use of mobile marketing really showcases how the right technology can play a drastic role in the success of a campaign”. 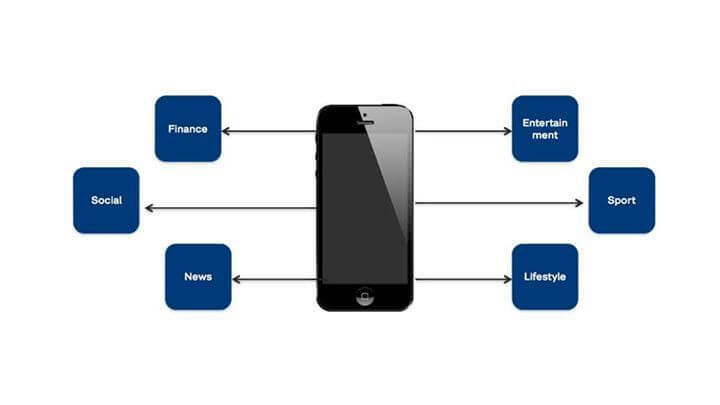 Whilst the conversation revolved around mobile technology, there was also a mention of the importance of mobile apps. With reference to the Hyundai Dealer Stealer application where the company was able to capitalize on buyers mobile locations and send them push notifications, it was possible to see how brands are integrating the power of apps into their mobile marketing strategies. When discussing mobile apps, Andrew mentioned how brands are forever striving to create an app that sits on the home screen of your phone, however, must compete with the already important everyday apps we use. “It’s important to not just create ‘another app’, it’s crucial to create a pleasant experience that brings value to users and engages with them at the right moment”. Timo validated Andrew’s statement by explaining a recent project that Ansible had worked on that created a unique experience for consumers. The Macquarie Centre fashion parade was so much more than just pretty clothes. The technology behind the parade hosted an app that was synchronized to the music of each piece of clothing displayed throughout the show. If attendees were interested in an item they saw at the fashion show, they could then save it into a catalogue and later be instructed by the app as to what store they could purchase the clothing item from within the centre. “I found the Macquarie Centre fashion show case study to be the most interesting as it related directly to new technologies within apps. I enjoyed the innovative concept and definitely would encourage brands to find new, more modern ways to reach out and engage their users, similar to the work we created with Gatorade Amplify”. From the event, it was evident to draw that mobile technology is becoming a first priority for brands within recent years. There are copious new practices that can help a brand optimize for mobile users, however there’s definitely a visible shift in brands focussing resources into creating a unique mobile experience for users to engage with. The industry can look forward to a rise in product apps that create a one of a kind branded experience for users to remember. 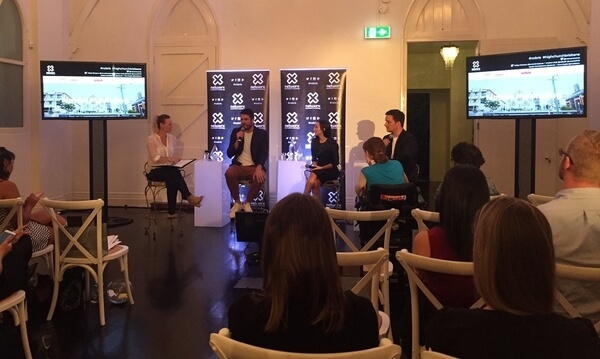 “After attending the event, it’s clear that Australian marketers accept that mobile is not just a line-item consideration and has definitely become business as usual. Mobile adds another string to the marketer’s bow by tapping into the context of their audience as and when the audience engages – on the go and in the moment. This allows marketers to add value and novelty to branded experiences. Andrew and Timo both offered great examples of successful engagement campaigns leveraging mobile technology”. Off the back of campaigns like these, more and more Australian businesses are gaining the abilities they need to advance beyond novelty, and transform these campaign-based learnings into truly value-added customer experiences. Are you heading to the next Networx event on APPS? Don’t miss this one as Hydric Media co-founder, Eoin McCarthy, will be a guest speaker covering some pretty important need to know topics around all things mobile apps. Follow Hydric’s Twitter to keep in the loop.